Right, before we go any further, let’s get this out of the way. Exaggerated Tom DeLonge voice: Wheeeeere are yyyyyyyouuuu? An I’mmme so sowrrrrry… DON’T WASTE YOUR TYYYYYM ON ME, YOU’RE ALREADEEEE THE VOYYYCE INSYYYDE MUY EDDD. Right, good, that’s out of the system. Now on to more pressing matters – former Blink-182 singer and guitarist Tom DeLonge has claimed that he’s going to reveal the truth about aliens. 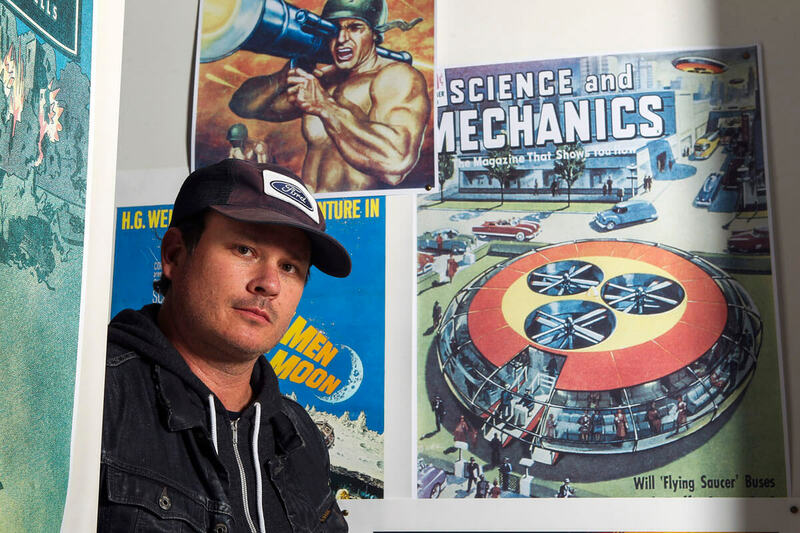 Over the years DeLonge has been an avid believer in extra terrestrial life, writing songs like ‘Aliens Exist’ and showing his passion of exposing another world. It’s led to ridicule from many people and perhaps had a hand in him leaving the band, but he still believes we’re not alone. In an Instagram post he revealed that tomorrow he’s making an announcement that’s two years in the making, claiming it might just change the world. The picture, which reads: “Inside knowledge about unidentified aerial phenomenon could lead to world-changing technology,” was accompanied by a lengthy caption. It read: “Thank you all for waiting for an announcement that is literally two years in the making. “I have assembled a team of insiders that I believe can possibly change the world. All are current consultants to the US Gov on National Security Matters, and some literally left days ago from the Department of Defence to join me in this initiative. “Fmr. High Ranking Government Officials and Senior Intelligence Officers from CIA, DOD, and also a Chief Engineer (Director of Advanced Programs) from Lockheed Martin’s the Skunk Works have come together aiming to BUILD A REVOLUTIONARY TECHNOLOGY that can change life as we know it (we will be showing a concept of the spacecraft tomorrow), research the unknown and finally tell the ‘story of the millennia’ through Feature Films. Earlier in the year, the musician was given an award for being ‘Researcher Of The Year’ from the International UFO Congress, and he promised to make waves in searching for more answers. He also revealed he’s met aliens near Area 51, but claims he is being hunted by authorities because of the information he knows. His announcement tomorrow could well be the full details of this, but unless there’s proof it might just full on deaf ears.